Cork, cork, and more Cork! It is everywhere right now, and is even being used in quilts! It gives shape and durability, as well as an earthy, organic vibe to your projects. If you haven’t tried sewing with it, come check it out and make a clutch purse! Materials required: Kits contain all supplies required for this project - $40. You will be able to select your fabric when you come for class. Join Bumbletees for some summer crafting fun!!! Fun projects will include, painting, decoupage, stitching, and more!! Learn basic quilting, piecing, sewing, stitching. Would you like to become comfortable using - and THREADING - your serger? Would you like to know how to ensure it sews beautiful stitches? Would you like to learn what all the buttons and knobs do? Would you like to learn specific techniques used in completing projects with a serger? Then this class is for you! 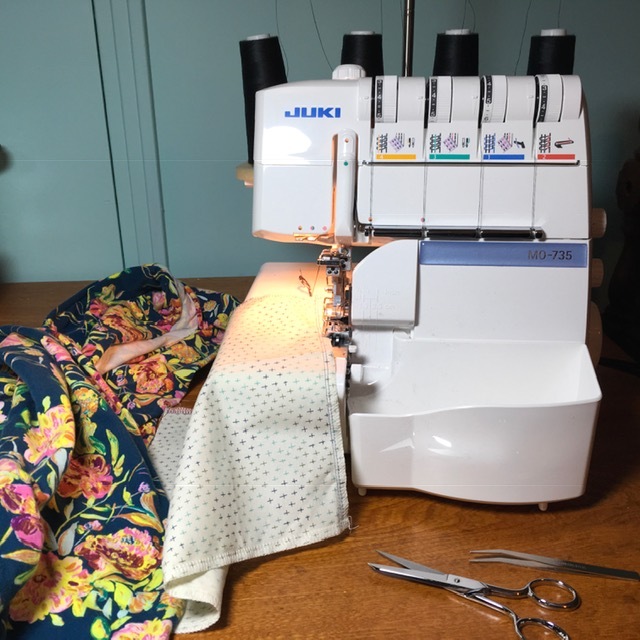 Join LoriAnne in exploring how to use your serger to it’s potential. Materials required: Your serger machine (and manual), thread, extra needles. All other materials are included in the class fee. These eye-catching little baskets can be made to hold a few of your favorite things, or used as a lovely table centerpiece. The pretty fabrics stitched into the basket makes each one unique! Materials Required: One jelly roll or honey bun, or assorted 2.5” x WOF strips of fabric, Rope base (included in class fee). Teacher: LoriAnne; Adults, $50, Machine Required, Beginner level. Do you have a collection of tee shirts in your drawers, from fun things you did or places you have been? Join Jan and Andrea as they inspire you to capture those memories in a tee shirt quilt that can be treasured for years to come! Materials Required: 20-25 tee shirts, lightweight stabilizer such as Shapeflex (available for purchase at the shop), fabric scraps. Appliqué Class - Tea towel, Tee shirt - You Pick! 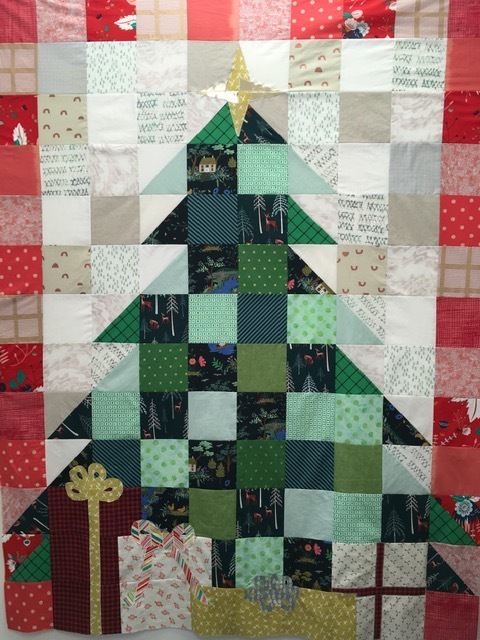 Join us from 1-3pm and learn how to make this stunning stars ‘n strips quilt using 2.5” strips! $45 per person. Register online here. These little zip pouches are fun to make and so cute! You’ll want to make them for your family and friends too! Materials required: included in class fee! This adorable baby quilt includes knits along with traditional quilting fabric. Join us for this 2 part class where we will create this beautiful quilt. $55 per person. Materials not included. Registration and materials list here. 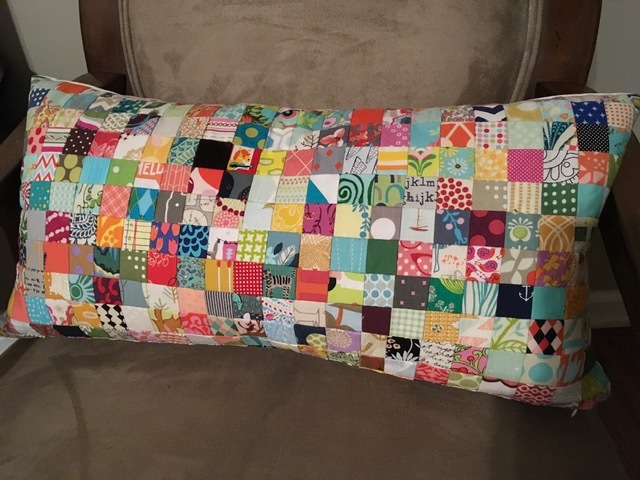 Join LoriAnne in making this elegant and timeless Postage Stamp Pillow! This pillow measures 12” x 22” and is constructed of 288 one-inch squares of fabric, and no fabric is used more than once! The completed pillow is simply gorgeous. 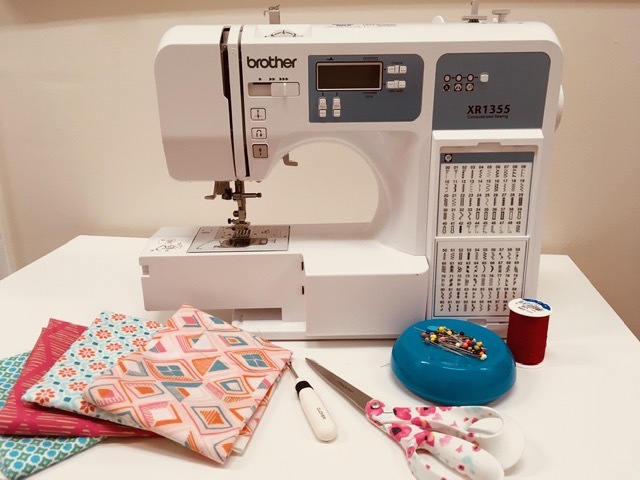 The first class will be a “Stash Bash”, where everyone will bring scraps of as many different fabrics as you can, and we will exchange them together to have enough to make the pillow. Then you will learn how to cut them quickly. In the second class, you will learn the technique for arranging and sewing the squares together QUICKLY & ACCURATELY! Materials required: assorted fabric scraps, rotary cutter and small cutting mat, 2.4” or 4.5” acrylic cutting ruler. Fabric scraps from the shop will be included; pillow form will be available for purchase. This is a fun and fast quilt to make (no “Y” seams), and a great way to use that layer cake you fell in love with and have not used yet! Materials required: 42-10” squares, the 10” half-hexie template -available for purchase at the shop. Scrappy and supper cute… this triangle quilt is fun and easy to make. Basic notions kit - see list here. Don’t miss this fun annual event. 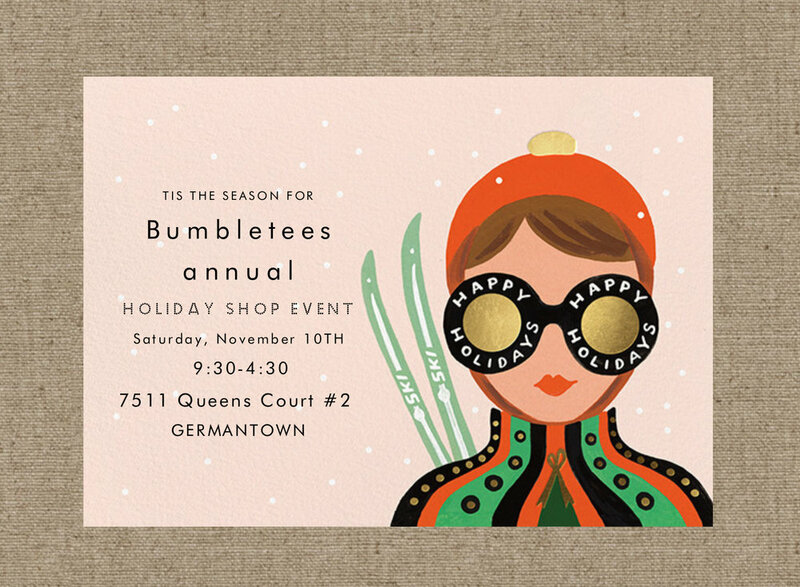 Some of our friends will be here again selling their handmade items… a perfect time to get some holiday shopping done!